Kikaua Beach, it’s not on any map, and most people don’t know about this secret beach on The Big Island. 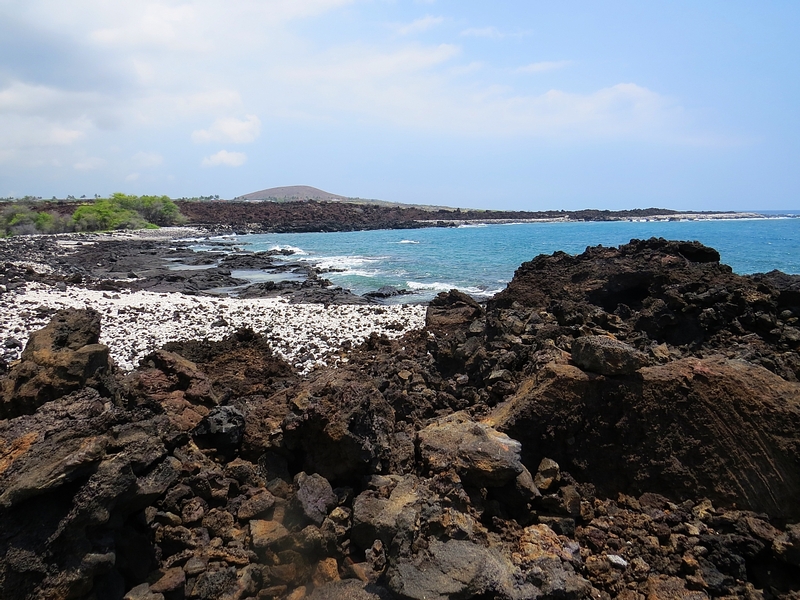 Black lava, white coral, and aquamarine waters combine in a dazzling array of contrast and color here. 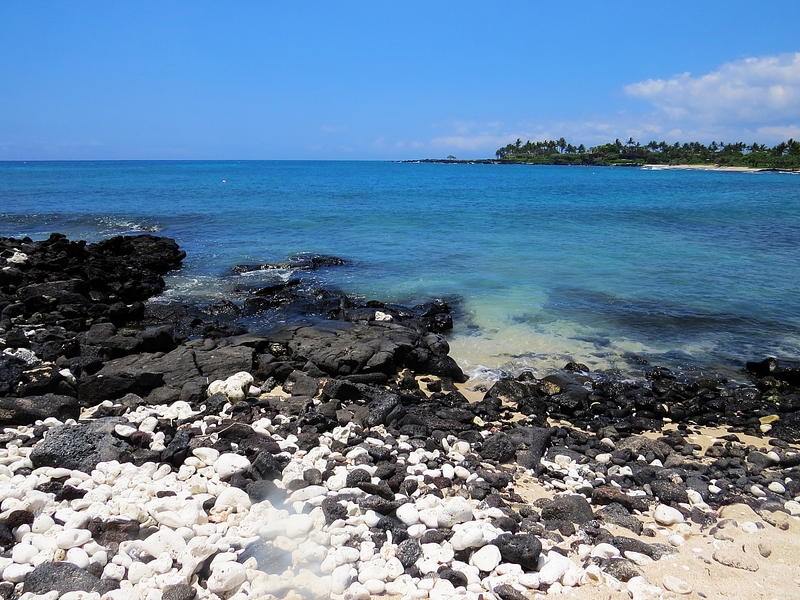 After spending the morning at the beautiful but rough and crowded Kua Bay, I was so happy to find this tranquil cove. 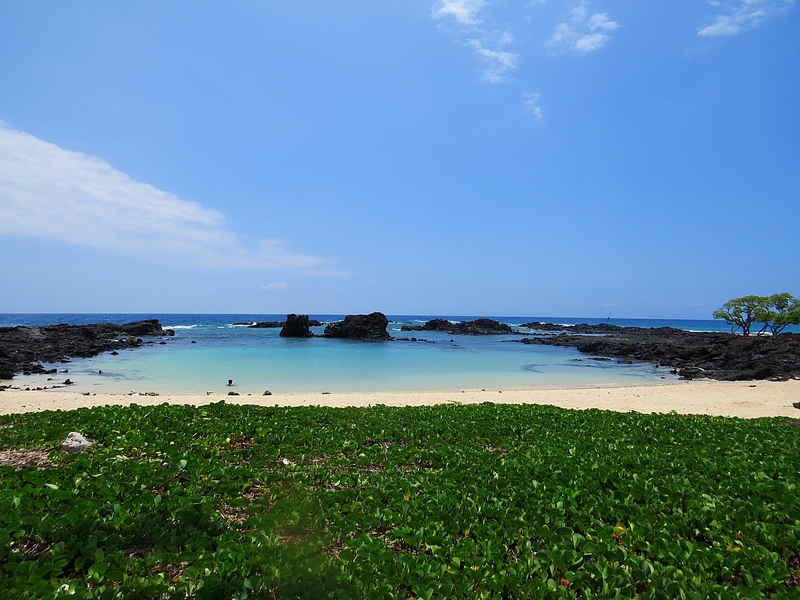 Because most people don’t know about Kikaua Beach, you will have it mostly to yourself. 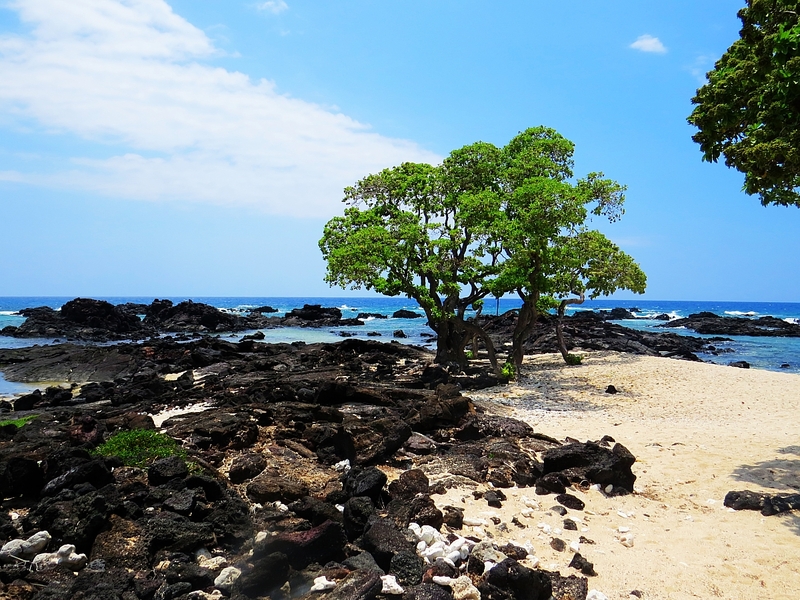 I loved it, because it was the calmest beach on The Big Island that I found. There is a peaceful bay that’s perfect for swimming. The beach is surrounded by lava and coral, yet the bay has a perfect sandy bottom. The Big Island beach is the perfect beach to take children to, as the waves and currents at many of the other beaches can be quite strong. The water in the bay never got deeper than my waist, and the place was so tranquil, I stayed here almost the entire day. There are great spots for shade, and even a few places that are perfect for hanging your own hammock. You will also probably see a lot of turtles here which is always fun. 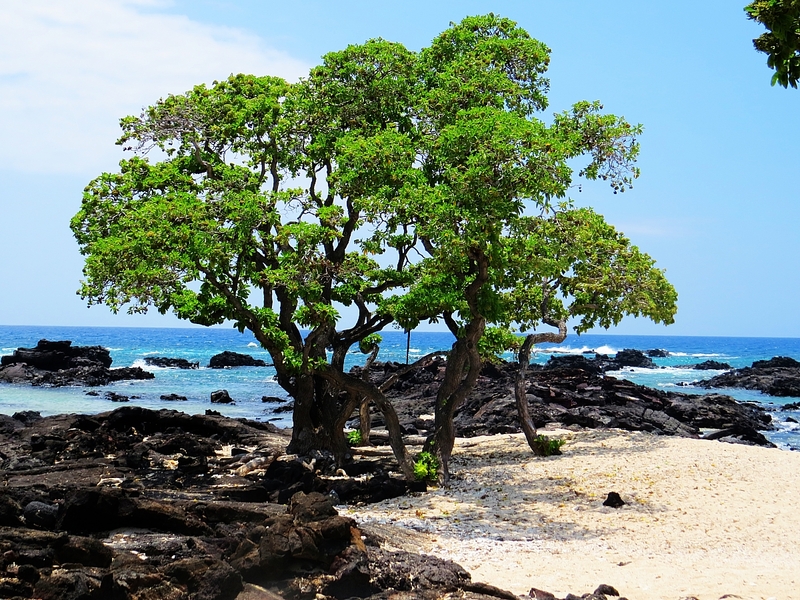 Kikaua Beach is about ten miles north of Kailua-Kona, near the Kukio Golf Resort. It’s located between the 87 and 88 mile markers. Turn onto Kuki’o Nui Drive before (south of) the Hualalai Resort entrance on Highway 19. It’s part of a gated community, so you will need to tell the people at the guard shack that you are going to the beach, and they will give you a parking pass. Parking is limited, so the best thing is to go early. There are restrooms and showers at the parking lot, and the beach is a short paved walk away. Bring your own food and water, as there is none nearby. This beach is a real hidden treasure! You can snorkel, swim, or relax by the picnic table in the shade. I would recommend you just go to this beach if you have a four-wheel drive vehicle. You’ve obviously never been to this beach. It doesn’t take a four-wheel drive by any means.